Do you want more leads? You’re probably on the hook for growing leads what, 20% or 30% a year? We’re thrilled to announce the MobileMonkey Growth Marketing Virtual Summit: Advanced Lead Generation Strategies for 2019! Nov. 8 will be the opportunity of the year to learn the advanced lead gen tactics used by some of the fastest growing B2B and B2C companies — AWS, DocuSign, Uber, Pinterest and more! ✓ It’s FREE for a limited time. ✓ It’s online so you can join from anywhere. ✓ This is the fastest way to advance your marketing performance and your career with advanced growth marketing tactics and strategies from 20+ top experts. 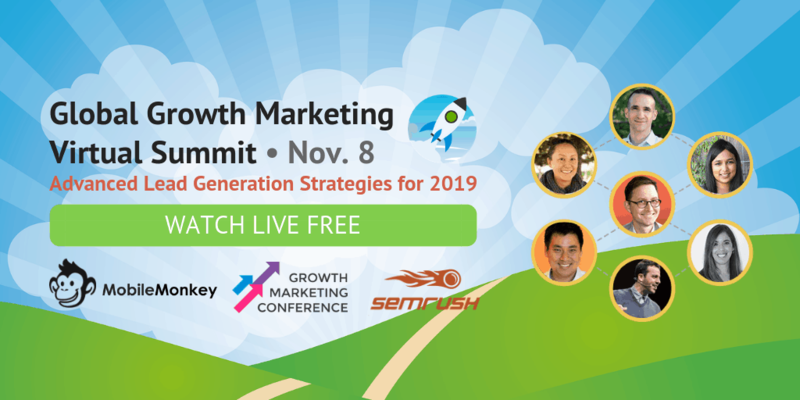 MobileMonkey is proud to partner with Growth Marketing Conference and SEMrush to host the live, global Growth Marketing Virtual Summit. This is the opportunity of the year to learn for FREE how to fill up your pipeline and close more deals with growth marketing. 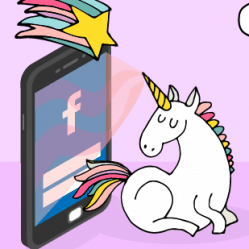 You’ll get the playbooks used by the fastest growing brands to optimize the funnel from acquisition to engagement and retention. Half of the day is dedicated to crushing B2B lead gen. Half of the day is aimed at slaying B2C growth. Check out the damn-impressive line-up of speakers. ✓ Andy Crestodina, Chief Marketing Officer and Co-Founder, Orbit Media Studios, Inc.
Top-flight growth marketing experts are being added all the time. 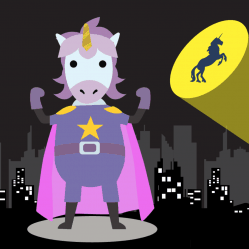 Growth Marketing Virtual Summit attendees will get access to a contest with free software and prizes up for grabs, including a free subscription to MobileMonkey Pro. The Growth Marketing Virtual Summit is the second of three events hosted by MobileMonkey focused on the real-life strategies used to scale businesses around the world. Earlier this year we hosted the Facebook Messenger & Chatbot Marketing Virtual Summit and saw nearly tripled the number of expected attendees. Early next year we’re hosting the Facebook Ads Summit. Growing your toolbox, skillset and strategy playbook is a must for a high-performing marketer. Join us and an expected 15,000 digital marketers, growth hackers, founders and entrepreneurs for the lead-gen driving online marketing conference of the year! Admission is FREE for a limited time! Hope to see you at the summit! Get your FREE ticket to the growth marketing virtual conference happening live Nov. 8. 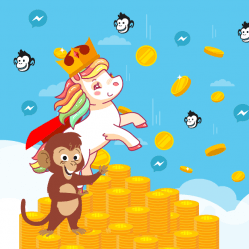 Get MobileMonkey for FREE. Before the event begins you’ll be ready to learn advanced strategies used to execute lead-driving Facebook Messenger automations. 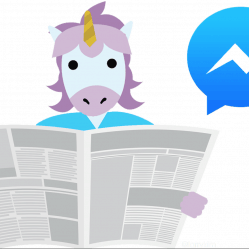 Sign up for occasional Facebook Messenger updates on the growth marketing conference, like announcing new speakers and contest winners!